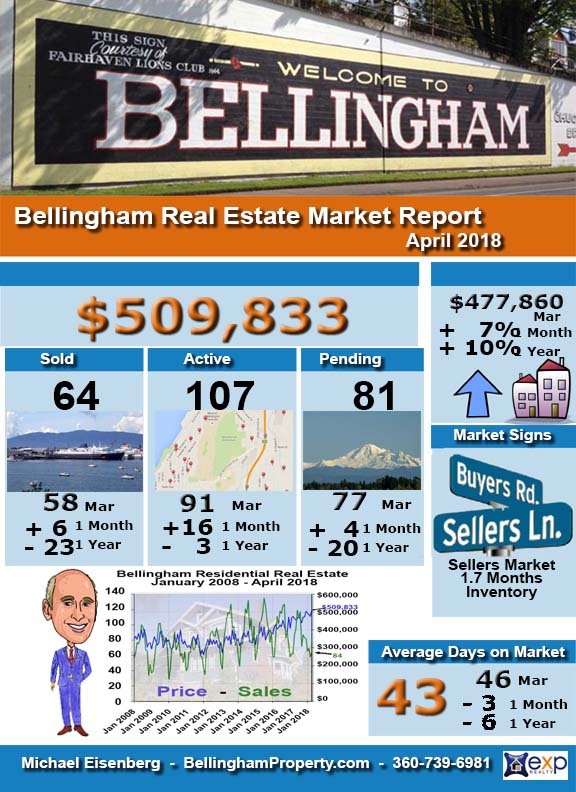 Here’s a quick look at the Bellingham Real Estate Market Report for April 2018 for residential home sales. The number of residential sales for the month was 64 that is 23 less than April 2017 and 6 more than last month. 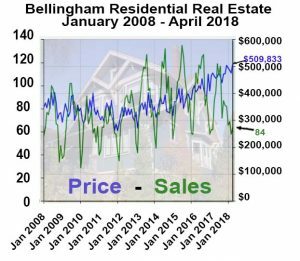 The Average sales price of $509,833 is up 10% compared to last April and up 7% from last month. 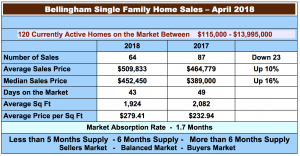 Spring had arrived and the number of homes for sales went up last month, there are now 1.7 months of inventory on the market, (if no new homes came on the market and sales rate was same as it is today, they would all be sold in 1.7 months). The number is still pretty small. Inventory is down again and is still extremely low at 104 homes for sale the day I write this. Any home priced right is still snapped up quickly often with multiple offers. There are only 5 homes on the market under $300,00 and as of today the least expensive home on the market is $235,000. This is making it extremely difficult for first-time buyers. 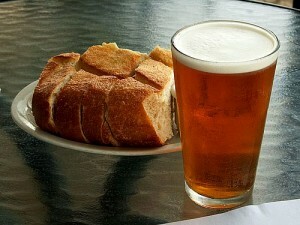 Bellingham’s 17th annual April Brews Day will bring 73 craft breweries, 10 food trucks, live local music, and thousands of people together to celebrate beer and raise funds for Max Higbee Center! All proceeds benefit Max Higbee Center‘s recreation programs for people with developmental disabilities. 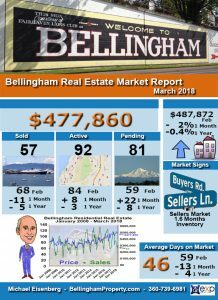 Here’s a quick look at the Bellingham Real Estate Market Report for March 2018 for residential home sales. 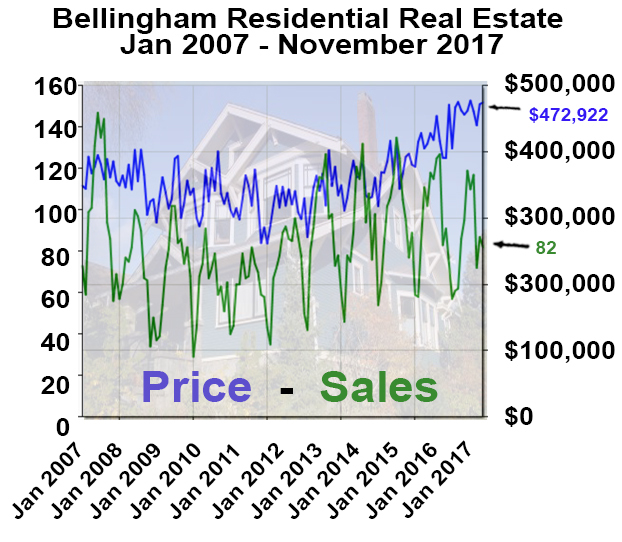 The number of residential sales for the month was 57 that is 5 less than March 2017 and 11 less than last month. The Average sales price of $477,860 is down 2% compared to last March and down a slight 0.4% from last month. Spring had arrived and the number of homes for sales went up last month, there are now 1.6 months of inventory on the market, (if no new homes came on the market and sales rate was same as it is today, they would all be sold in 1.2 months). The number is still pretty small. Inventory is down again and is still extremely low at 104 homes for sale the day I write this. Any home priced right is still snapped up quickly often with multiple offers. There are only 3 homes on the market under $300,00 and as of today the least expensive home on the market is $115,000. This is making it extremely difficult for first-time buyers. 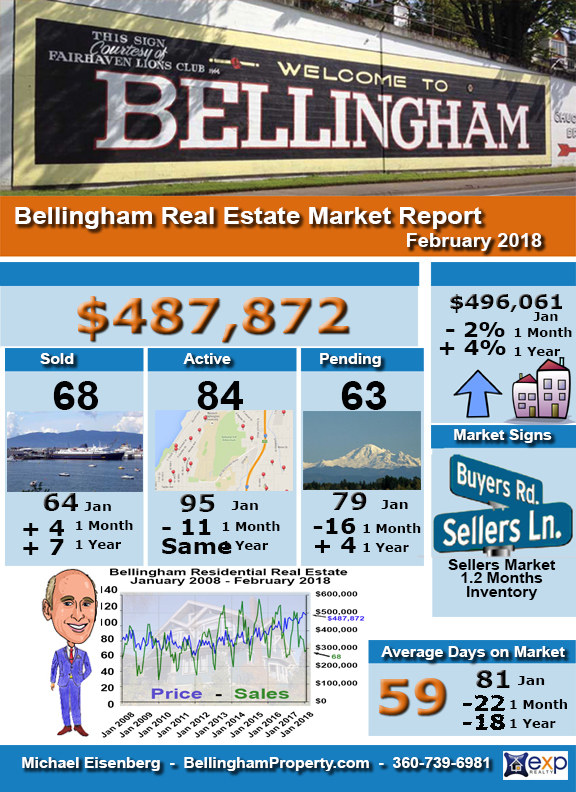 Here’s a quick look at the Bellingham Real Estate Market Report for February 2018 for residential home sales. 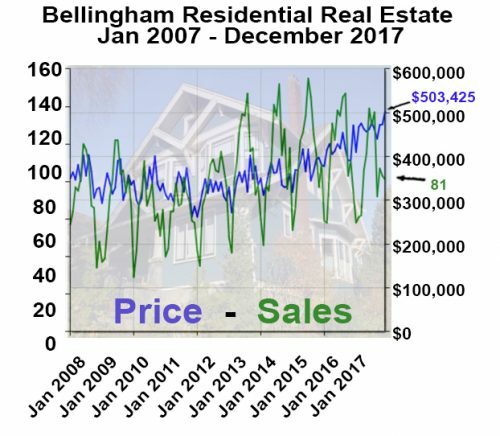 The number of residential sales for the month was 68 that is 7 more than February 2017 and 4 more than last month. 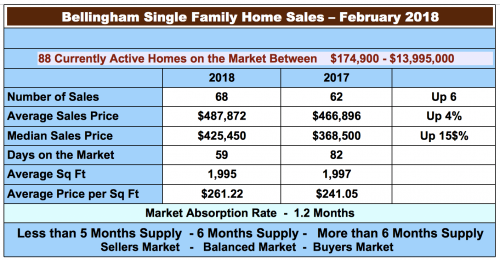 The Average sales price of $487,872 is up by 4% compared to last February and down 2% from last month. 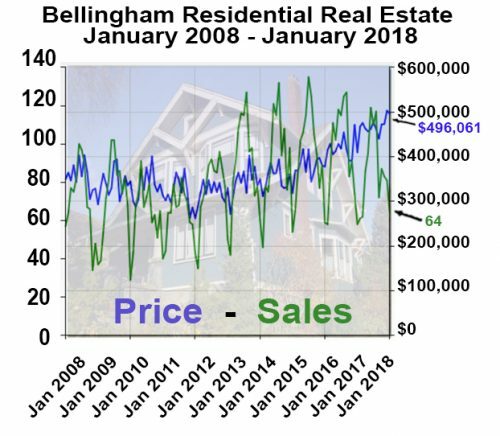 The number of homes for sales went down last month, there are now 1.2 months of inventory on the market, (if no new homes came on the market and sales rate was same as it is today, they would all be sold in 1.2 months). There is still not much new construction in single-family homes. Inventory is down again and is still extremely low at 94 homes for sale the day I write this. Any home priced right is still snapped up quickly often with multiple offers. There are only 3 homes on the market under $300,00 and as of today the least expensive home on the market is $174,900. This is making it extremely difficult for first-time buyers. Here’s a quick look at the Bellingham Real Estate Market Report for January 2017 for residential home sales. 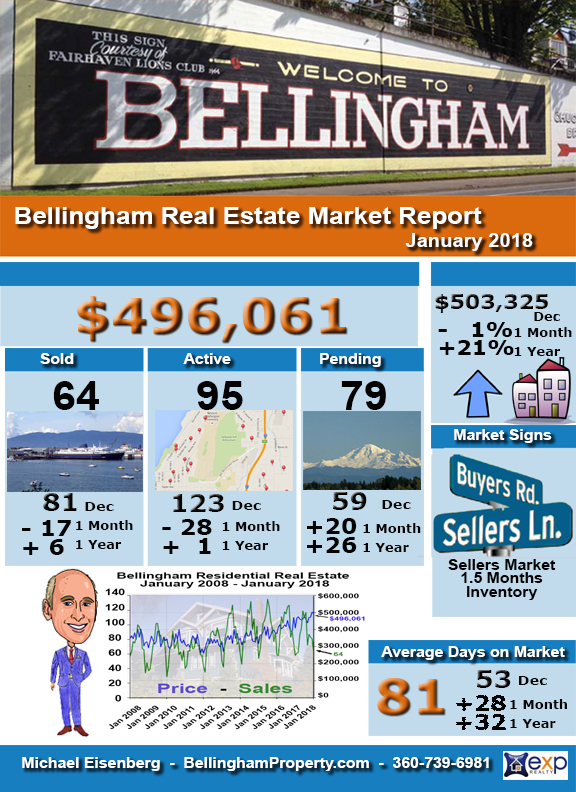 The number of residential sales for the month was 64 that is 6 more than January 2016 and 17 less than last month. 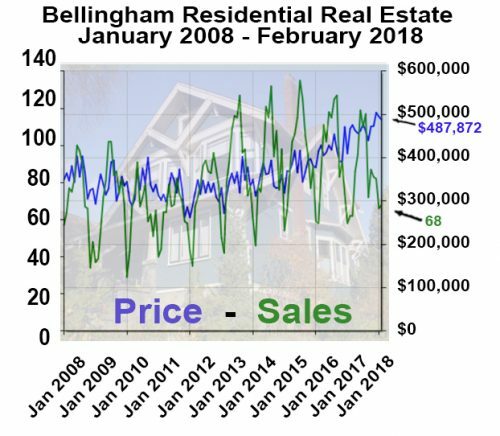 The Average sales price of $496,061 is up by 21% compared to January and down 1% from last month. 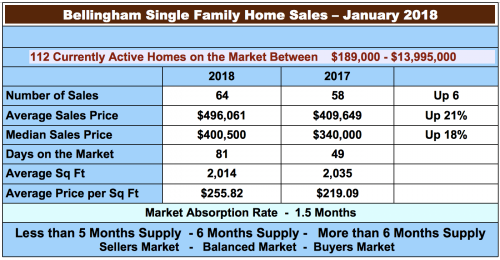 The number of homes for sales went down last month, there are now 1.5 months of inventory on the market, (if no new homes came on the market and sales rate was same as it is today, they would all be sold in 1.5 months). There is still not much new construction in single-family homes. Inventory is down again and is still extremely low at 91 homes for sale the day I write this. Any home priced right is still snapped up quickly often with multiple offers. There are only 10 homes on the market under $300,00 and as of today the least expensive home on the market is $189,900. This is making it extremely difficult for first-time buyers. 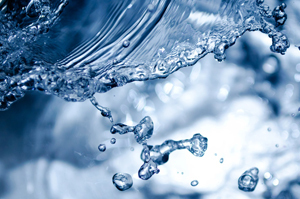 The “Fix” is in – for wells on rural land. The “Fix” is in. Washinton State legislature passed a bill that has “fixed” the Hirst decision that has held some rural landowners from putting wells on their property and therefore unable to obtain building permits making their land pretty much unusable. It has been signed into law by the governor. -The bill is county specific, (Skagit County is mostly excluded from the bill at the request of the Swinomish Nation). There is a new tax law that was signed into effect in December of 2017 that will affect all taxpayers. 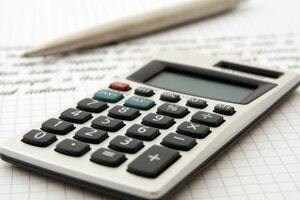 Homeowners should become familiar with a few of the items that could affect them which may require some planning to help you maximize the benefits. • There is now a reduction on the limit of deductible mortgage debt to $750,000 for loans made after 12/14/17. This will not affect existing loans up to $1 million which are grandfathered in and therefore not subject to the new $750,000 cap. • Homeowners can refinance mortgages that were existing on 12/14/17 up to $1 million and they can still deduct the interest, as long as the new loan is not larger than the amount of the existing mortgage being refinanced. 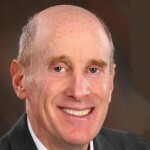 • The new standard deduction is now $12,000 for single individuals and $24,000 for joint returns. It is estimated that over 90% of taxpayers will now take the standard deduction. • State and local taxes used to be unlimited, but now all property taxes and other state and local taxes are limited to $10,000 when itemizing deductions. • Moving expenses are only deductible for members of the Armed Forces. • Casualty losses will only be allowed if the loss is attributable to a presidentially-declared disaster. The capital gains exclusion applying to principal residences has not changed. Single taxpayers are still entitled to $250,000 and married taxpayers filing jointly up to $500,000 of capital gain for homes that they owned and occupied as principal residences for two of the previous five years. 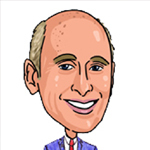 I’m not a CPA or accountant, if you need more info or clarification, contact your tax adviser. 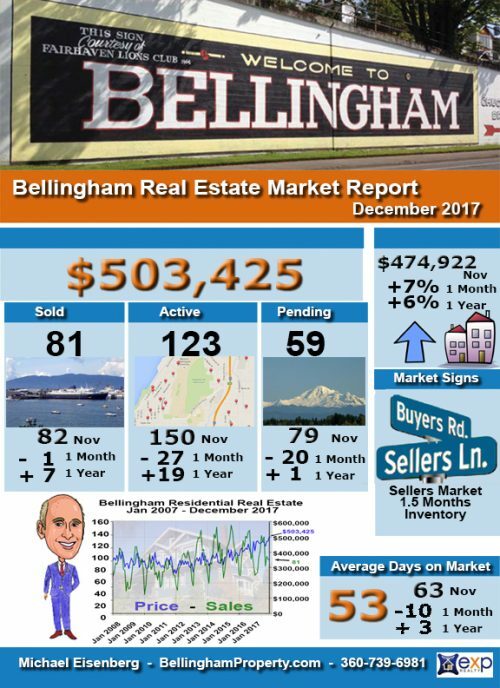 Here’s a quick look at the Bellingham Real Estate Market Report for December 2017 for residential home sales. 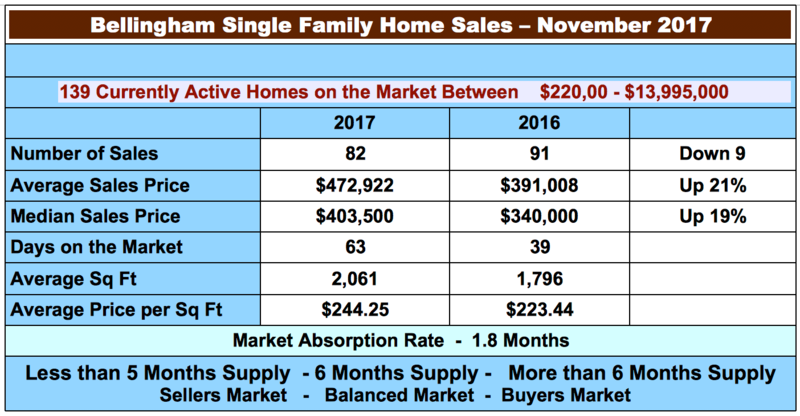 The number of residential sales for the month was 81 that is 7 more than December 2016 and the 1 less than last month. Inventory is down again and is still extremely low at 112 homes for sale the day I write this. Any home priced right is still snapped up quickly often with multiple offers. There are only 10 homes on the market under $300,00 and as of today the least expensive home on the market is $189,900. This is making it extremely difficult for first-time buyers.